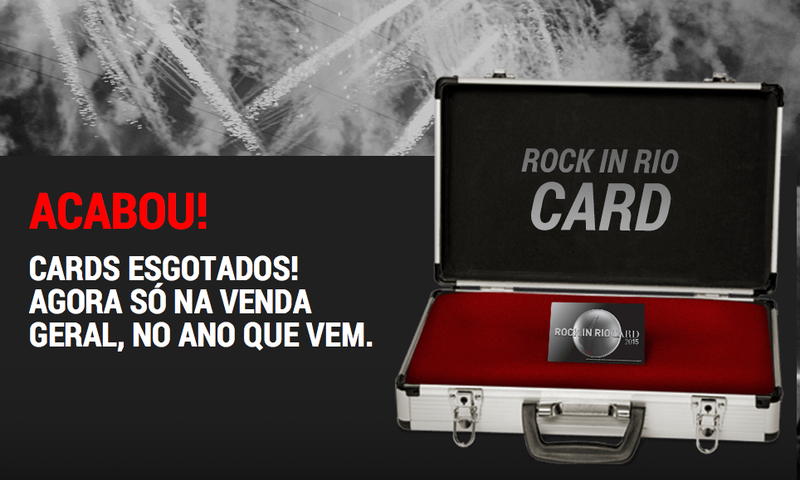 The first 100,000 tickets for Rock in Rio’s 30th anniversary shows in September 2015 sold out in just five hours when they were put on sale on 18 November 2014. Fans will now have to wait until later in 2015 for the opportunity to by general tickets when they are released. With few artists yet confirmed other than Katy Perry, John Legend and System of Down, fans that purchased the card will have first choice of days when the full schedule is confirmed. Dates for the shows in 2015 are September 18, 19, 20, 24, 25, 26 and 27. The concerts take place in the Olympic Park. Prior to the Rio shows, Rock in Rio will take place in Las Vegas in May 2014. Artists confirmed include Taylor Swift, Ed Sheeran, Bruno Mars, Metallica, Linkin Park, No Doubt, Deftones, Joss Stone and John Legend. This entry was posted in Brazil News, Rio News and tagged 2015, Brazil, Rio de Janeiro, Rock in Rio by Critical Divide. Bookmark the permalink.